At its height, Chichen Itza was the most important political, economic, and religious Mayan city in the region that is now known as the Yucatan Peninsula. Today, all that remains are remnants of this once magnificent city with roads, temples, markets, huts, and around 30,000 inhabitants. This has hindered the interpretation of its many stone carvings, rituals, and construction. Even so, Chichen Itza still retains much of the grandeur and beauty that characterized the city in ancient times. The beautiful buildings of Chichen Itza guard dozens of secrets about the knowledge of the ancient Maya. Every building has a purpose, as does their position and size. 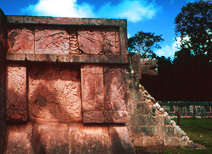 This is the case with the Temple of Kukulkan, which perfectly marks the equinoxes and the summer solstice. Another example is the Platform of Venus, a planet that, along with the sun and the moon, is also important in defining the ceremonies that govern Mayan life. The Caracol or Observatory made it possible for the Maya to understand perfectly the cycles of the moon, thus marking the dates that were favorable for planting and harvesting crops. 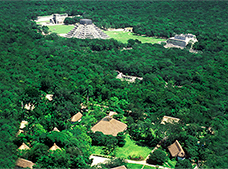 The archeological site that is currently open to the public has approximately 17 buildings (some partially reconstructed) and two cenotes. It is estimated that, at the peak of its splendor, the city covered a total area of 11.5 square miles. In the near future, they plan to open an area that up until now has been off limits to visitors, of nearly 22,000 yards. 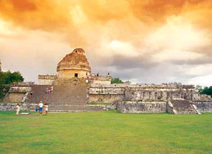 This area, known as "Chichen Viejo", has 13 structures of various sizes and two large plazas. 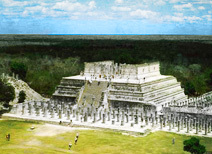 The massive buildings that make up Chichen Itza are presided over by the Temple of Kukulkan, one of the tallest and most notable of Mayan architecture. Also known as El Castillo, this building has four sides, each with a staircase leading to the temple located on top. 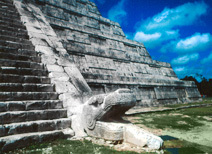 Flanking the four staircases are stone balustrades, and resting at the base of the north staircase are two snake heads that represent the god Kukulkan (the feathered serpent). The city of Chichen Itza flourished around the year 325 and its inhabitants built monumental stone buildings near the Xtoloc cenote (now known as the Sacred Cenote). It is estimated that around the year 1000 AD, civil war broke out that led to the violent fall of Chichen Itza as the main political and religious center in the region. Evidence shows that the wood ceilings of buildings, such as the Temple of Warriors and the market, as well as some of the other buildings, were most likely burned. 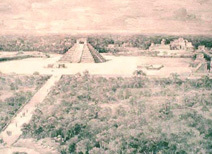 By the thirteenth century, the population of Chichen Itza was already declining, however major religious ceremonies continued to be carried out at the Temple of Kukulkan and the Sacred Cenote well into the sixteenth century. Enjoy panoramic views of the archeological site from the tops of the structures that are open for climbing. Admire the display of light and shadows that occurs at El Castillo during the equinox and the solstice. Take a bike tour of the gardens and trails. Take photos at all of the important structures at the archeological site. Swim in the nearby cenotes, which are fresh water pools where you can cool off after touring the site. Try delicious Yucatecan specialties, such as papadzules, cochinita pibil and poc chuc at your hotel or in the nearby restaurants. 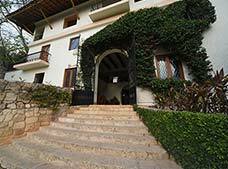 Stay at one of the hotels near the archeological site and immerse yourself in the world of the Maya. 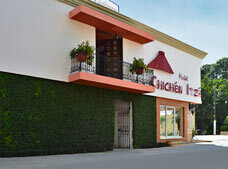 Visit the town of Piste, located just over a mile from Chichen Itza, to shop for handicrafts at affordable prices. Attend the sound and light show that takes place after dark at Chichen Itza.